I went to the V&A today to see Botticelli Reimagined - an exhibition charting the painter's influence on everything - from F1 car designs, to retail, fashion, film-making, and obviously all forms of art. Outside the exhibition however, in the V&A garden, I spotted Elytra. 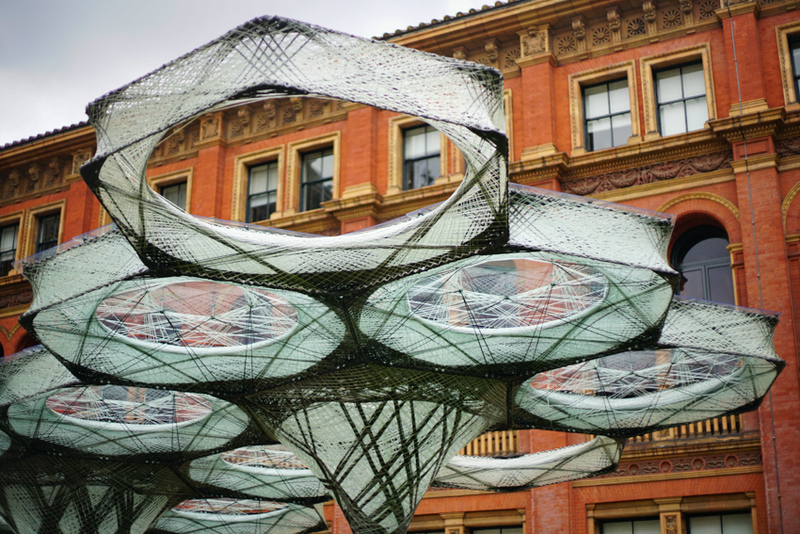 Elytra is a "Garden installation by architects and engineers at the University of Stuttgart is inspired by the forewing shells of flying beetles known as elytra and constructed using a novel robotic production process."